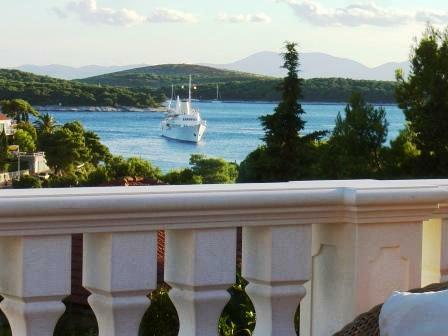 Villa is locatied in peacefull part of town Hvar but just minutes walking by seaside from glamour and glitz of town and famous bar Carpe Diem. Beautifull pebble beach is 2 minutes from villa as well as supermarket. Museum and hvar summer festival place is minutes walking. 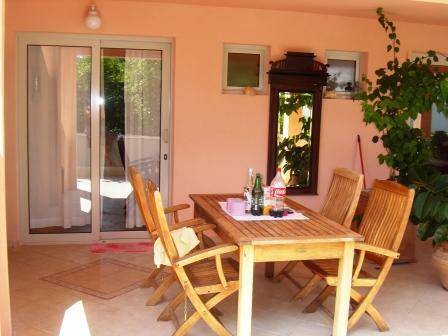 We have nice rooms with fantastic view and apartaments with air-condition sourounded by mediterranean flowers and trees , like pomagranate, lime... We speak german, english and italian . Come and see for yourself what makes Hvar and us so special. White stone villa with nice rooms and A/C apartments, panoramic view, parking place, BBQ place, beautifull terace as meeting spot. 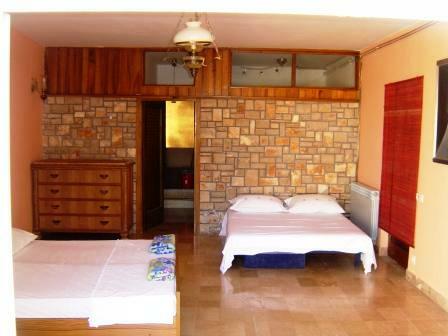 Rooms are for 2 or 3 people suitable but it can be an extra bed added. 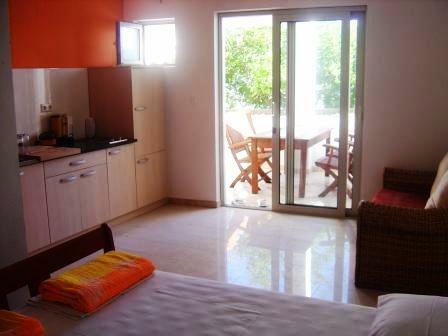 Rooms have bathrooms in coridoor, balconies or teraces and an kitchen with BBQ . Triple room has beautifull terace down stairs( as you can see on photo) and can be booked and payed only for three people. Dorms are new built, and modern with private toilets. Three apartaments are air conditioned, each has full equiped kitchen , bathroom and a big nice tarace facing mediterrenean trees and plants. They are suitable from two till five people.. BBQ, kitchen and common room also top renovated and can be used from all guests. We are situated in peacefull part called Lucica ( means small harbour), south facing house, panoramic view or enjoy in mediterranean garden of our air- conditioned apartments. 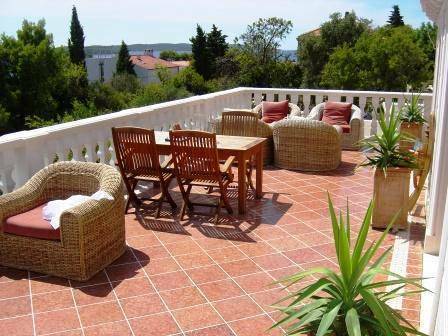 BBQ and lounge meeting spot in the villa , just few steps from center of Hvar.... Pebble beach and franciscan monestery and 100 m , supermarket as well. Please 7 day before cancellation . From catamaran stop follow the seaside to the franciscan church . At beach , by the restaurant Giorgio garden folow the road up the hill. . After two minutes is road crossing. At road crossing at the right side is our villa. We love to pick you up at harbour or bus station just give us a call. Ferry or catamaran drives from Split to Hvar harbour or to port of Stari Grad( 10 km from Hvar).